From personalised portraits for children and families, to one off paintings in a variety of size, you're sure to find the perfect keepsake painting here. Watch this space for what's currently available in the studio or nearby location. 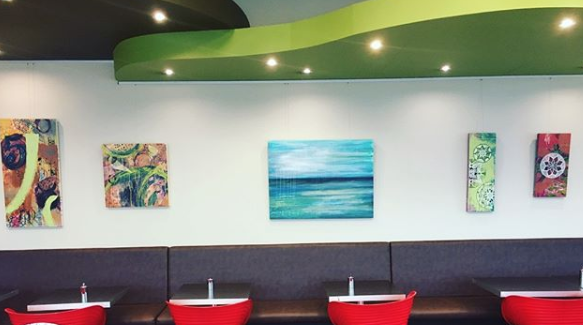 Currently showing now at Mealmates Cafe, Hamilton, NZ. For pricing and details on Kim's personalised portraits please go through to the page. Made with love in Hamilton NZ.